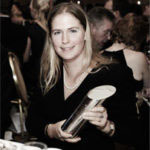 LMB scientist Dr Sarah Teichmann has received a ‘2009 Women of the Future’ award as ‘Science and Technology Woman of the Future’ for her major contribution to scientists’ interpretation of the human genome and an understanding of how evolution shapes the molecules and processes of life. Human (and other) genome projects are probably one of the most significant advances in biological and medicinal science in the past 20 years. Sarah’s research represents the important next stage. Copyright © 2010 MRC Laboratory of Molecular Biology. The MRC Units on the Addenbrooke’s campus, including LMB, have recently been awarded the “Workplace Travel Plan Award Certificate of Commitment” in recognition of their efforts to develop a travel plan to reduce the amount of travel generated by MRC’s activities. Speaking on behalf of LMB’s Green Committee, Dr Christine Barrie said “We are delighted that all our efforts to address sustainable travel have been recognised. Sarah Leigh-Brown, Harry Harris, Daniel Naujoks. 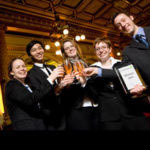 Image courtesy BBSRCA team of early career scientists from Cambridge University and Imperial College London – led by Lizzy Day, a second year PhD student at LMB – won the 2009 Biotechnology YES (Young Entrepreneurs Scheme) title. Copyright © 2009 MRC Laboratory of Molecular Biology. Based in Cambridge, UK, Bicycle Therapeutics, the latest LMB spin out, will combine the most desirable features of small molecules and biologics to create highly specific and stable drugs. Bicycle Therapeutics has developed a new novel technology platform using phage display to select peptidic sequences that are cyclized on a chemical core. Dr J. Chin to present the annual Francis Crick Lecture for the Royal Society. Dr Jason Chin, from the Division of Protein and Nucleic Acid Chemistry (PNAC) at LMB, has been chosen to present the annual Francis Crick Lecture for the Royal Society on 26 November 2009. EMBO Young Investigator Award for Madan Babu. 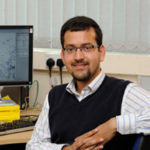 Dr Madan Babu has been selected as an EMBO Young Investigator. The European Molecular Biology Organization (EMBO) set up their Young Investigator programme ten years ago which identifies some of Europe’s most promising and creative young life scientists. This year, the programme received 123 applications out of which 17 were selected. The 2009 EMBO Young Investigators come from nine different countries with an average age of 36. 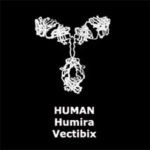 Heptares Therapeutics Ltd, the drug discovery company focused on G-protein-coupled receptor (GPCR) targets, has recently announced that it has entered into an option agreement with the Novartis Option Fund under which Heptares will apply its proprietary StaR(TM) technology to generate novel drug leads against a nominated, unspecified GPCR target of interest to Novartis. The agreement includes upfront and potential milestone payments to Heptares totaling up to $200 million plus royalties. 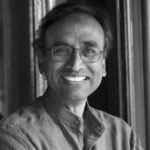 This year’s chemistry Nobel Prize has been awarded to Dr Venki Ramakrishnan of LMB for “studies of the structure and function of the ribosome”. Venki Ramakrishnan shares the honour with Thomas A. Steitz (Yale University) and Ada E. Yonath (Weizmann Institute of Science, Israel). 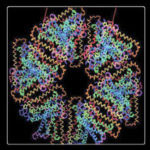 The trio showed how the information encoded on strands of DNA is translated into the proteins of life. Two therapies with their roots in antibody technology developed in the LMB and the Scripps Research Institute* have recently emerged as promising new drug candidates to treat lupus, a potentially fatal autoimmune disease, and anthrax, a pressing concern due to bioterrorism.